On July 20, 1944 a bomb exploded at Hitler's daily briefing. It was the last in a series of assassination attempts against Hitler carried out by a group of military conspirators. Shortly afterwards, using a legitimate military plan codenamed "Valkyrie," senior officers of the German Home Army tried to seize power in an attempt to free Germany from the criminal Nazi regime. But this assassination attempt, like all those before it, had failed. 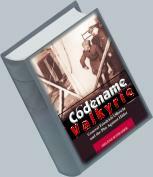 In consequence, within hours orders were soon issued from Hitler's headquarters countermanding "Valkyrie." In some military districts, such as France, the subordinate commanders were anti-Nazi and they followed the "Valkyrie" orders without hesitation. The local Gestapo and SS were rounded up and detained. But in other military districts, the news that Hitler had survived the assassination attempt was sufficient grounds for disregarding "Valkyrie" and following the orders from Hitler's headquarters instead. So the only uprising by Germans against the Nazi regime collapsed. In the night of July 20, 1944, the first men associated with this German revolt against Hitler's dictatorship were executed without trial. The first man to fall to the vicious Nazi retribution was the man who had from early 1942 onwards developed and nurtured the coup d'etat plans, Plan "Valkyrie": General Friedrich Olbricht. Thousands of other conspirators and their sympathizers followed and were liquidated in a bloody retribution. Who were the men behind the conspiracy? Was it really just a "tiny clique of criminally stupid officers" as Hitler claimed? And was Claus Graf Stauffenberg - the only person named by Hitler - really the driving force behind it? This website is dedicated to providing information about the key milestones on the way to July 20, 1944 and introducing the key actors in this drama. 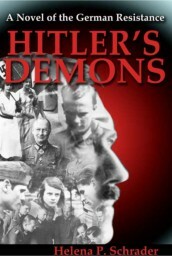 It challenges the prevailing myths about Stauffenberg's dominant role in the military conspiracy and so attempts to do justice to the other military conspirators, most especially General Friedrich Olbricht, one of the most consistent, determined and effective of all the German Resistance leaders. This site is best viewed with IE6 (or higher), a browser window sized at 1024 pixels wide or wider, and with a monitor display resolution set at 1280x1024. Text varies on this site between British and American English spelling. Most research was done in Europe and compiled for British English publications. An Obsolete Honor was written in American English, all other books are in British English or German. Interviews and reviews reflect both American and British English as Helena Schrader is a leading authority on this subject in the US and Europe.